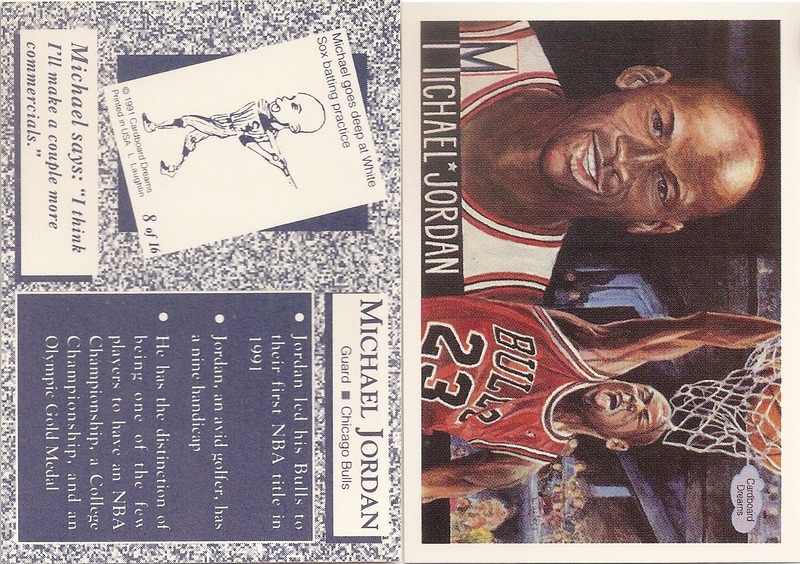 This unlicensed 16 card multi-sport set is regular card size measuring 2 1/2" x 3 1/2". 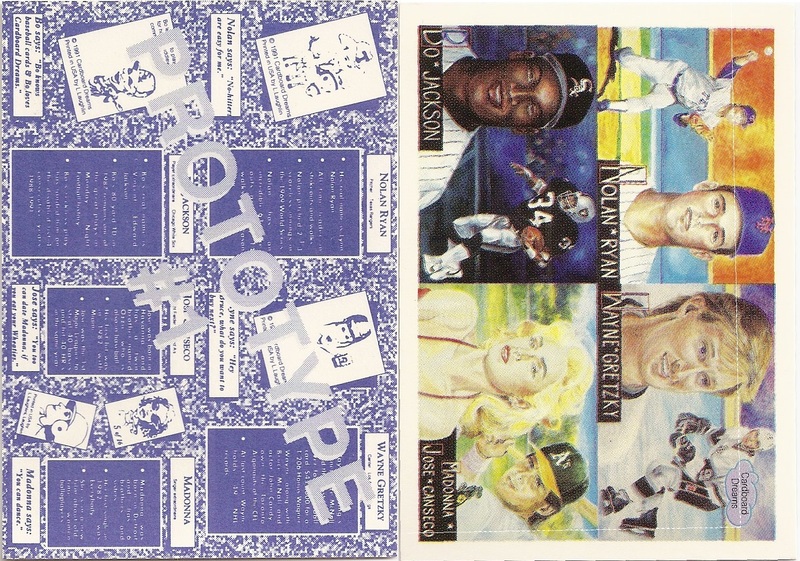 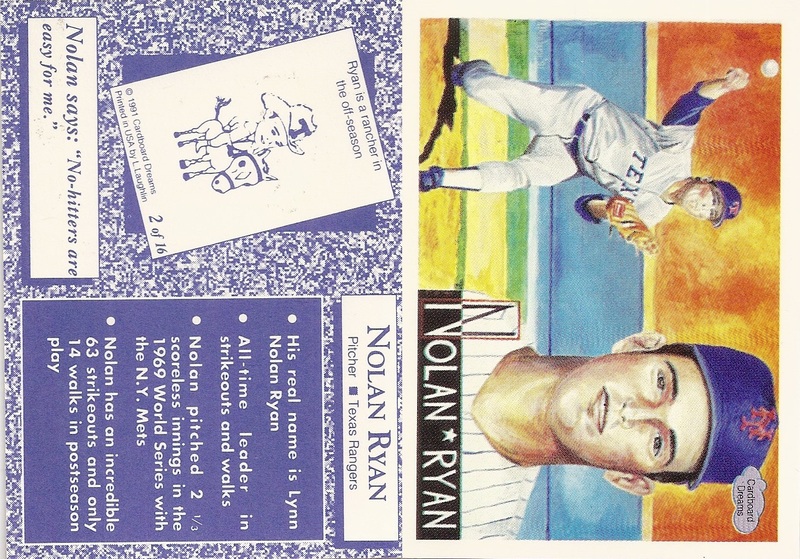 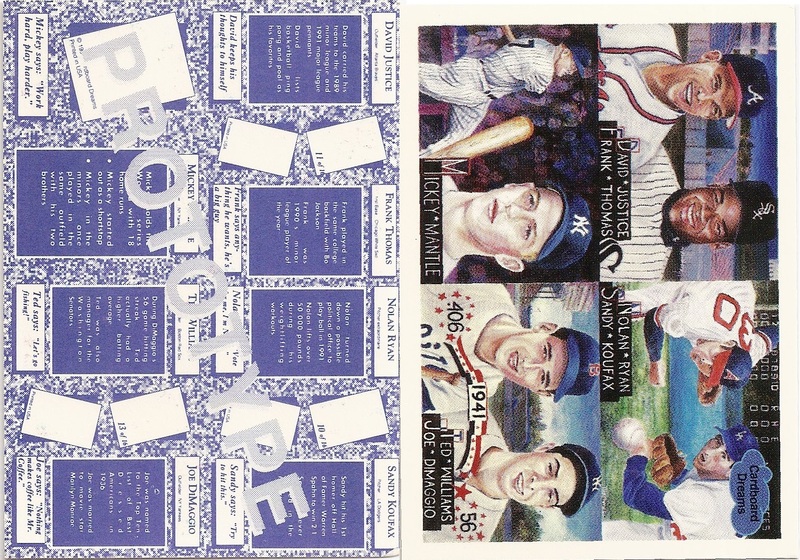 On the front is an artistic rendering of the player(s) depicted, the player name and the text "Cardboard Dreams" in a small white cloud. 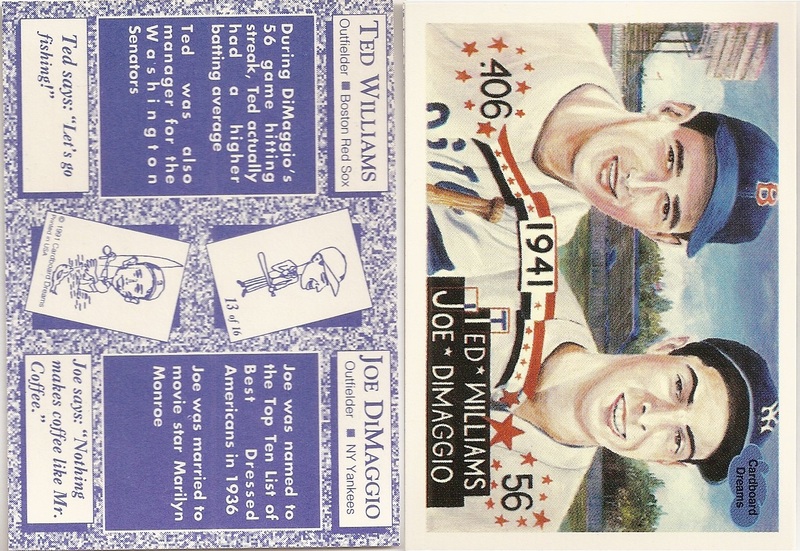 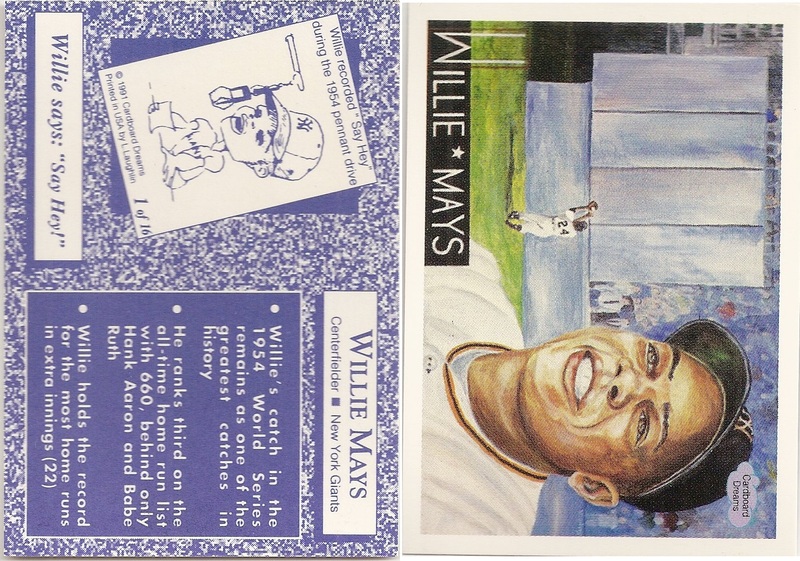 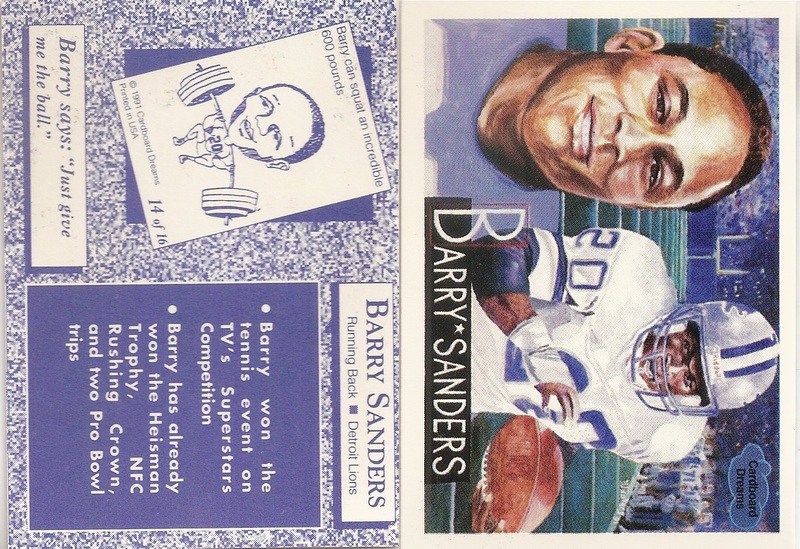 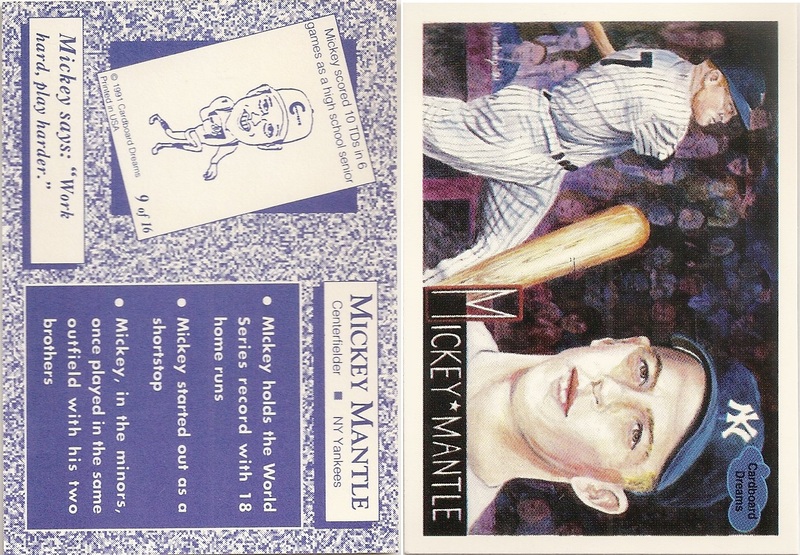 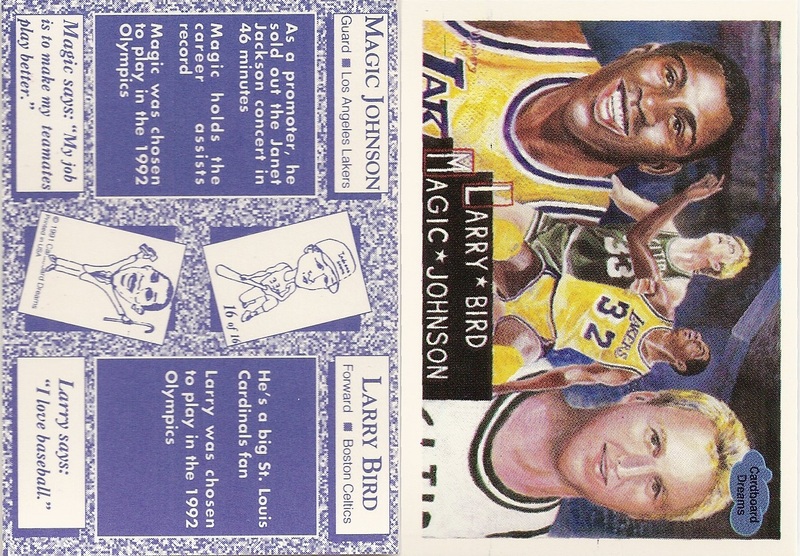 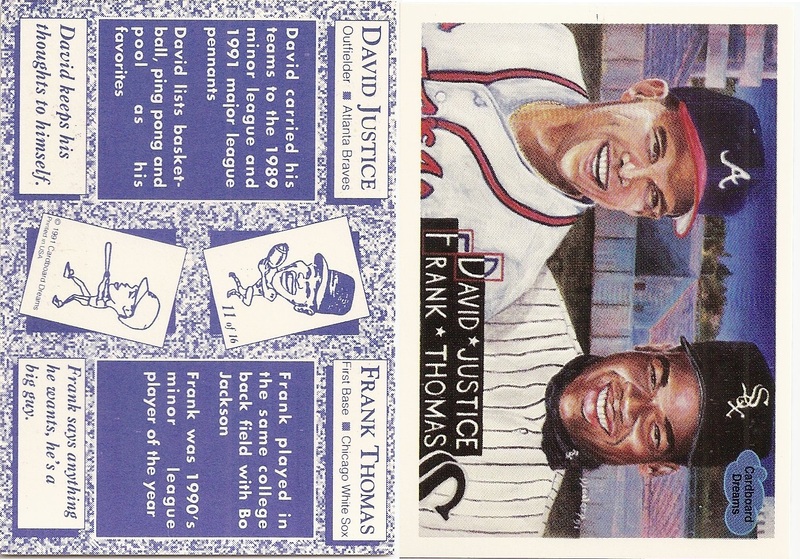 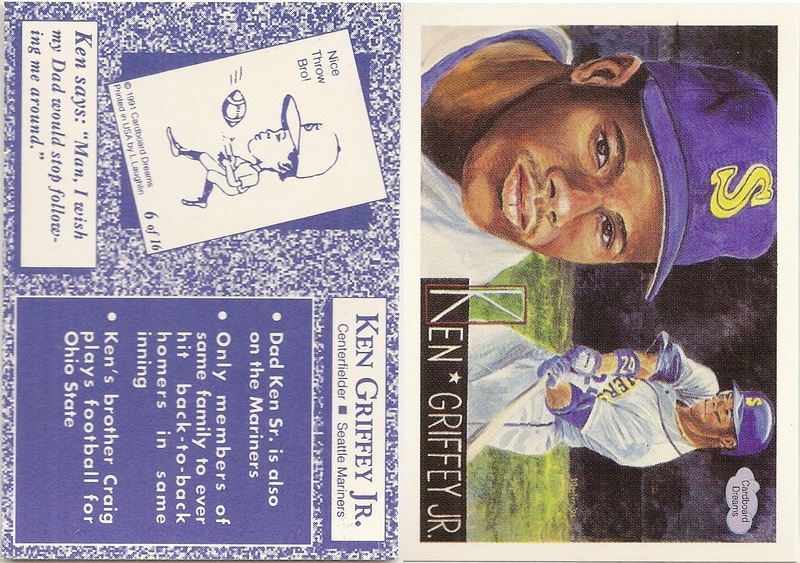 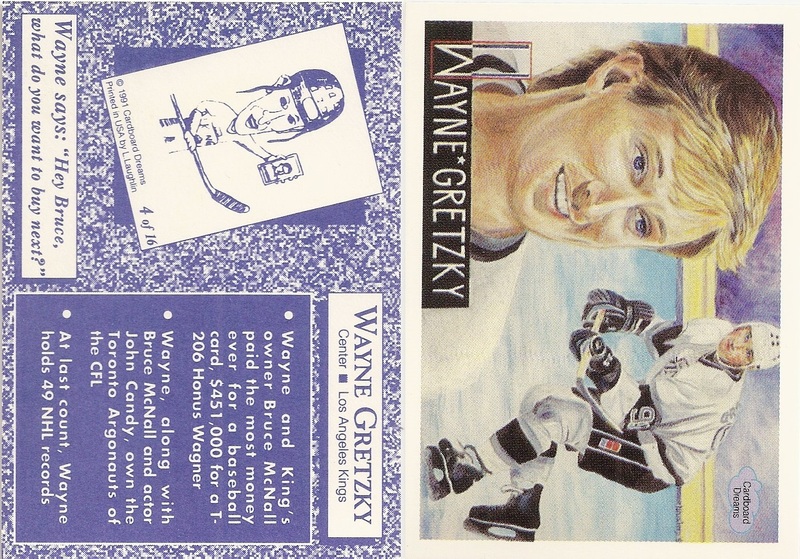 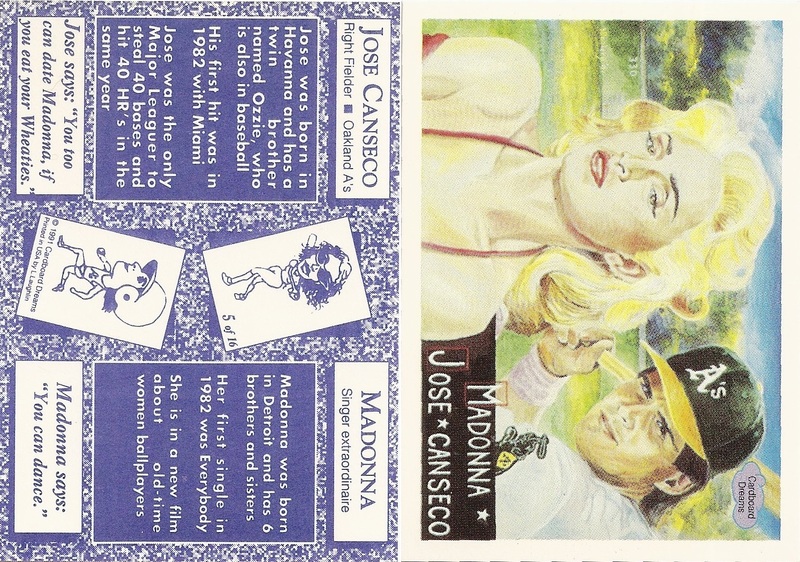 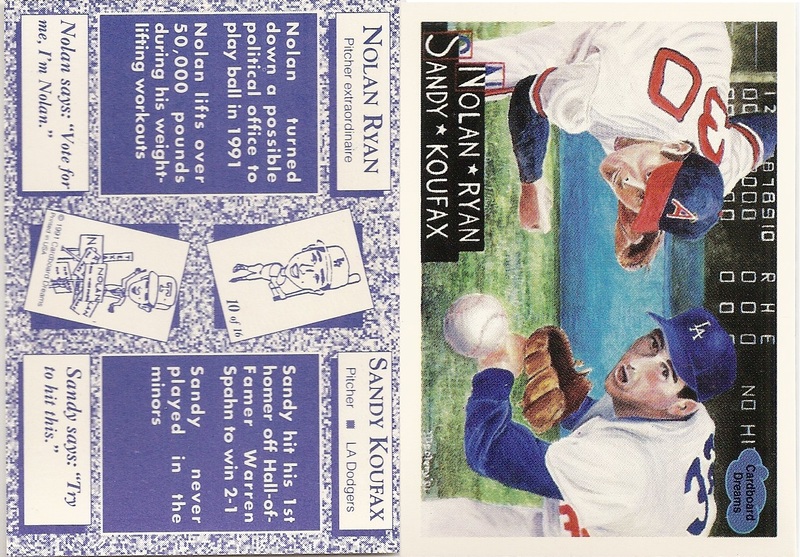 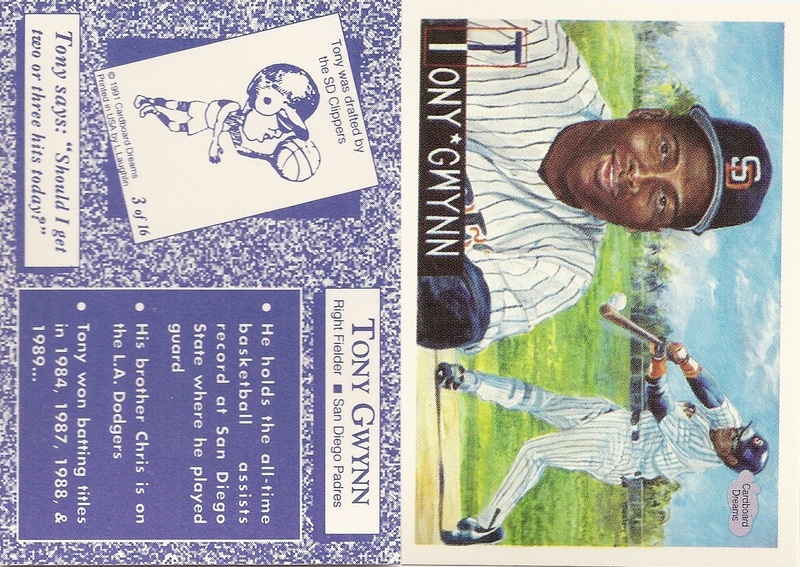 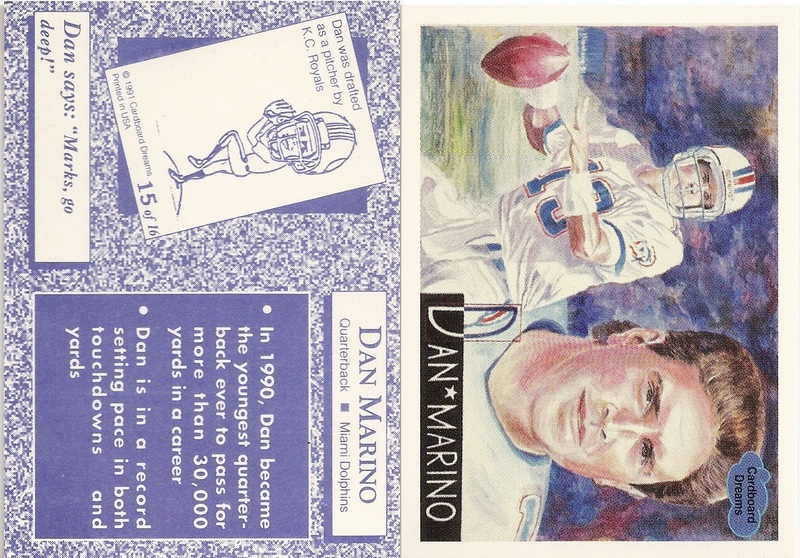 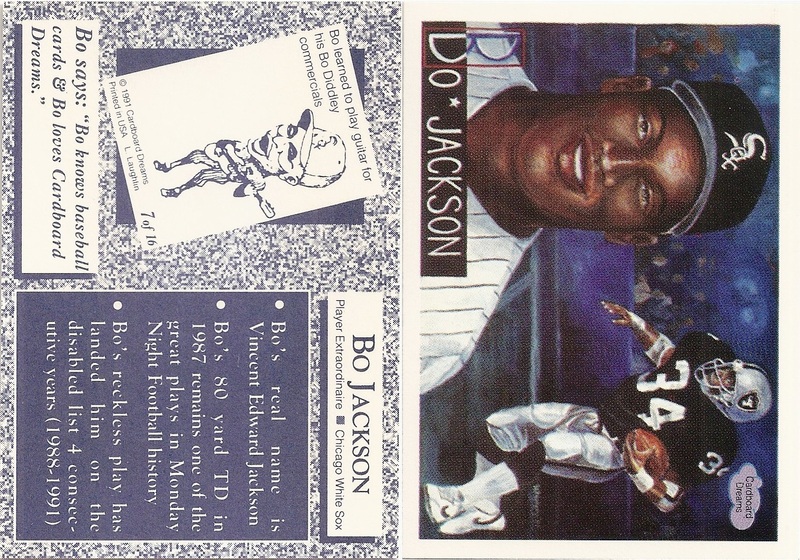 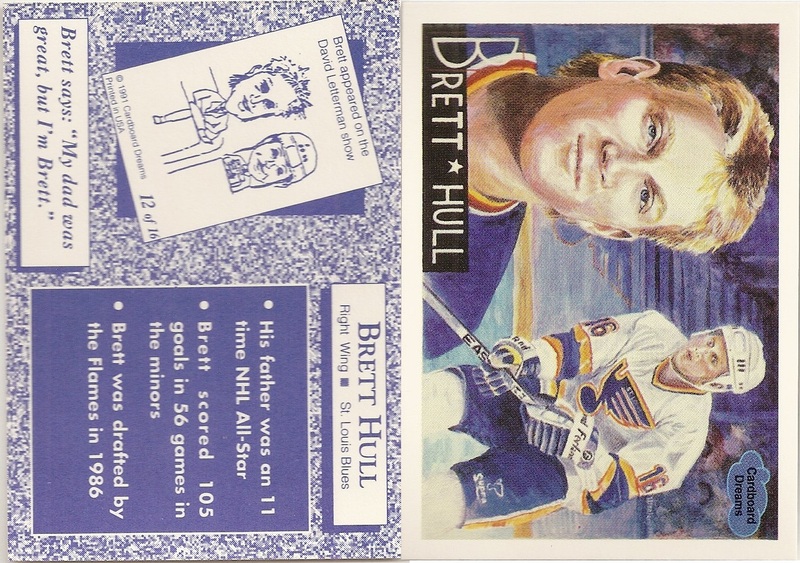 The back of the card has the card number and a small cartoon of the player along with a player quote and facts about the player.